Create machine learning models for use in your app. 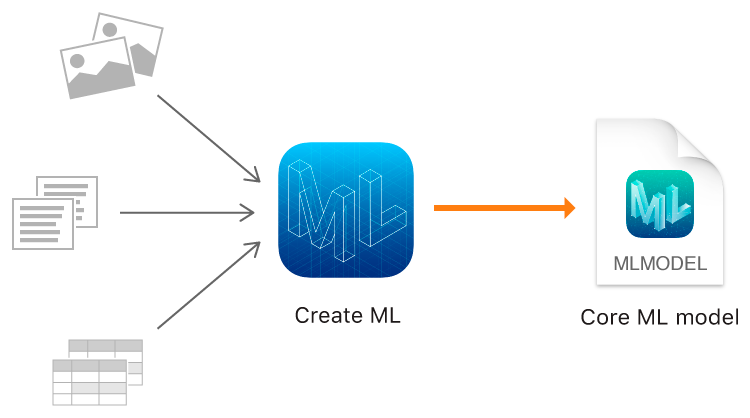 Use Create ML with familiar tools like Swift and macOS playgrounds to create and train custom machine learning models on your Mac. You can train models to perform tasks like recognizing images, extracting meaning from text, or finding relationships between numerical values. You train a model to recognize patterns by showing it representative samples. For example, you can train a model to recognize dogs by showing it lots of images of different dogs. After you’ve trained the model, you test it out on data it hasn’t seen before, and evaluate how well it performed the task. When the model is performing well enough, you’re ready to integrate it into your app using Core ML. 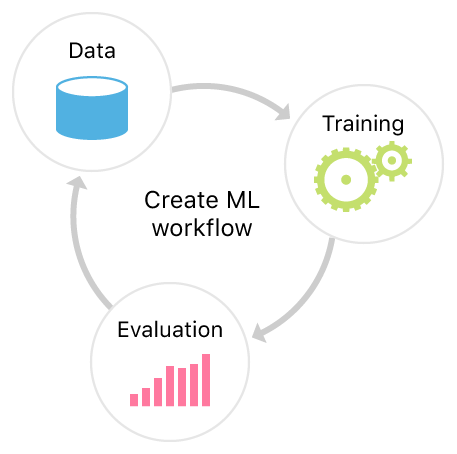 Create ML leverages the machine learning infrastructure built in to Apple products like Photos and Siri. This means your image classification and natural language models are smaller and take much less time to train. Train a machine learning model to classify images. An Xcode playground UI that you use to train a model to classify images. A model you train to classify images programmatically. Train a machine learning model to classify natural language text. A model you train to classify natural language text. A model you train to classify natural language text at the word level. Structures and models useful for more general tasks to do with labeling information or estimating new quantities. Use metrics to tune the performance of your machine learning model. Metrics used to evaluate a classifier’s performance. Metrics used to evaluate a regressor’s performance. Errors thrown by Create ML.